Precious metal production is a valuable commodity in the industry. ABC Refinery Liquidation knows that its gold and silver products could be displayed on people’s fingers, wrists, ears and necklaces, as a source of pride and even a commitment to the future with a loved one. ABC Refinery Liquidation prides itself on its quality of work and presents a prime investment opportunity for those looking to increase their net worth. Any investment of this kind requires investors to understand market conditions can change but if history is any guide to the present and the future, gold and silver have the prospect of delivering sound long term returns for investors. ABC Refinery Liquidation has valued partners including leading financial institutions and government entities who play a pivotal role in gold refining, production and exchanges, as the finished product makes its way to the market. The company utilizes state-of-the-art technology to enhance its gold and silver production. The raw materials dug deep from under the surface require careful production to maximize their full value and ABC Refinery Liquidation has plenty of reserves with is annual refining capacity more than 100 tonnes. There is no shortage of in-house industry knowledge within ABC Refinery Liquidation and the company remains one of Australia’s top precious metals providers. In Hong Kong and mainland China, ABC Refinery Liquidation has local offices so please feel free to come in and ask any questions. We will be happy to help. 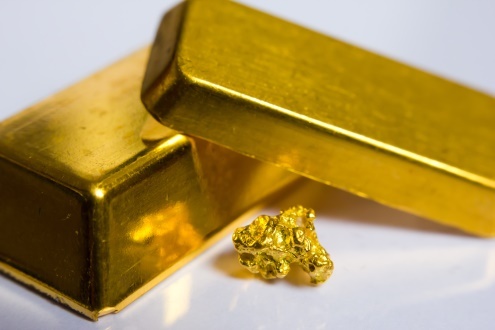 The future for gold is bright even if the US Government raises interest rates. It has been said by more than one economist and one investor that the link between gold value diving when interest rates rise is ‘totally fallacious’. For readers looking to learn more about the gold and silver markets in Australia, we encourage you to visit this website, as a way to learn more about an ever-evolving industry.